Great music and a fun venue make an event special. You have beautiful decorations, flowers, and linens. You can enhance all that hard work by making everything stand out even more with the right lighting. Specialty lighting will take your event to the next level, and make it even more memorable for your guests. 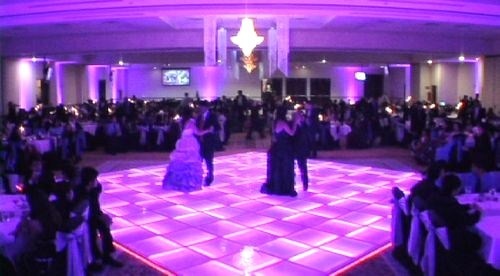 Imagine the bride and groom’s name in lights or your company logo displayed on the dance floor. We can even make the water splashing on the beach match your event’s color scheme. Give us a call today at (808) 206-5905 or use the contact form for a specialty lighting rental consultation. We’ll reserve your event date and start dreaming of ways to make it special for everyone in attendance.